“One obvious factor that cannot be ignored in the current scenario is the political desperation of the Rajapaksa dynasty, particularly Mahinda. With the ex-President being debarred from contesting the presidency again, it is of the utmost importance that the candidate endorsed by him should romp home the winner. 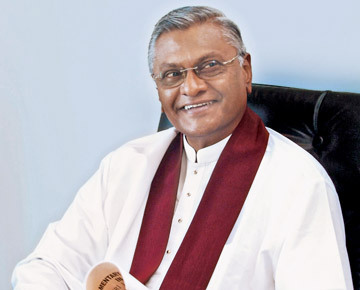 A defeat would result in the eventual decline and fall of the Ruhunu Rajapaksas. Right now, the Rajapaksa camp candidate with the best possible chance of winning the poll seems to be Gotabaya Nandasena Rajapaksa. 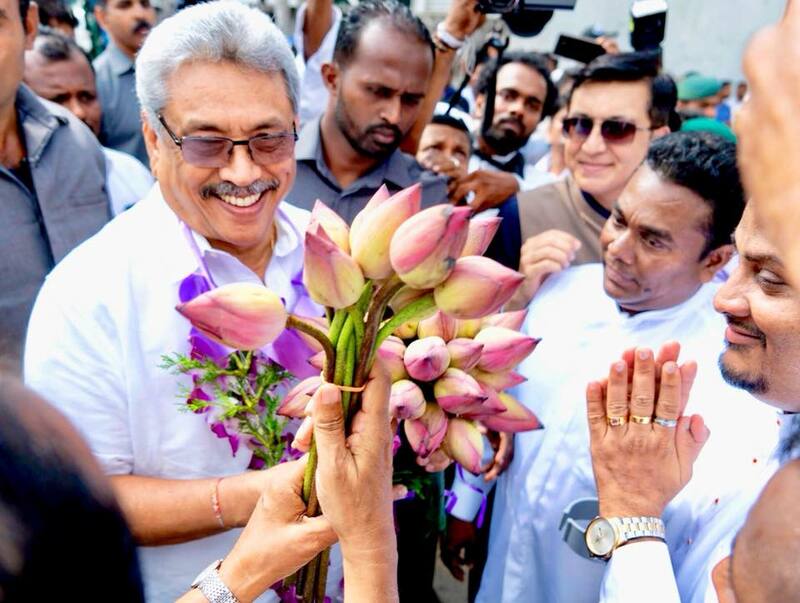 A Gotabaya victory would ensure the consolidation and preservation of the Rajapaksa family’s political fortunes. Hence, the family has no option but to rally around Gotabaya in the final analysis. Those rooting for Gota would subscribe to the above stated view. Indeed, Gota himself has been operating on that premise”. “All this shows that matters are drawing to a head in the Rajapaksa camp. Mahinda Rajapaksa has to act speedily and dispel the impression that he is not playing fair by Gotabaya Rajapaksa in the presidential candidacy issue. It is time to formally announce the UPFA/SLPP presidential candidate also. It is imperative for the Rajapaksa camp to pick the candidate with the best chance of winning. Many opine that Gota is the winning candidate. It is in this evolving situation that Gotabaya Nandasena Rajapaksa awaits his inevitable tryst with destiny”. The above paragraphs excerpted from my earlier article referred to the perplexing and somewhat prickly issue of Gotabaya Rajapaksa’s presidential candidacy. What those paragraphs in particular and the article in general tried to pinpoint was that Mahinda Rajapaksa should take speedy action to resolve the issue and that Gotabaya Rajapaksa himself could resort to certain steps in order to force the pace in this regard. It now appears that the issue seems to have been satisfactorily addressed to a great extent with the Rajapaksa family closing ranks behind Gota who is to be nominated as the presidential candidate. After a prolonged period of vacillation and related speculation, the decision to nominate Gotabaya as candidate was taken by former President and current leader of the opposition Mahinda Rajapaksa with the concurrence and approval of other politically engaged members of the extended Rajapaksa family. The key decision was taken on Thursday March 14th at the Wijerama road residence of Mahinda Rajapaksa in Colombo at a meeting in which six members of the Rajapaksa family involved in active politics were present. They were ex-president and Leader of the Opposition Mahinda Rajapaksa, Former Speaker and Current MP Chamal Rajapaksa, Former Cabinet Minister Basil Rajapaksa, Ex Defence Secretary Gotabaya Rajapaksa, Former Uva Province Chief Minister Shasheendra Rajapaksa and Parliamentarian Namal Rajapaksa. The primary purpose of the meeting held along with dinner was to arrive at a firm and conclusive decision in determining the candidacy for the forthcoming 2019 Presidential elections. It is learnt that there were compelling reasons for holding an urgent family meeting to discuss the issue. 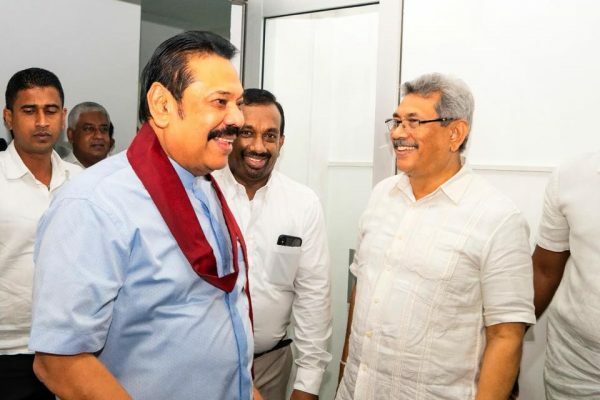 There is a consensus among Rajapaksa family as well as SLPP party circles that Mahinda must decide on whom to nominate as the presidential candidate. There is also a general understanding that Gotabaya Rajapaksa should be the chosen candidate. What was necessary as outlined in the excerpted passages was for Mahinda to finalise matters by consenting to field Gota as the candidate. Two factors brought about a sense of urgency. The first was the rising tide of opinion within the Sri Lanka Podujana Party(SLPP) rank and file that there should be no compromise with the Sri Lanka Freedom Party(SLFP) on the question of nominating a presidential candidate. President Maithripala Sirisena wanted to contest the presidential poll as the common candidate of the SLFP and SLPP. Since Mahinda had given the green light for such a move for tactical reasons at the time of the Oct 26 political coup, there were many who thought Maithripala would be the chosen candidate. However there was suspicion that Sirisena was playing a typical double-game and was secretly cultivating an alliance with the United National Party(UNP). There was a groundswell of resentment within party leaders and members that the SLPP should not trust Sirisena any longer. Mahinda Rajapaksa too was furious at Maithripala and SLFP because the opposition leader had had great hopes about a good show by the SLPP -SLFP joint front at the budget vote and then defaulted. Thus it became necessary to finalise a presidential candidate from the SLPP quickly to drive home a point to the SLFP and Sirisena. The second and more important reason for the family meeting was the decisive course of action embarked upon by Gotabaya himself. Earlier Gota had been content to appeal and wait for Mahinda to finalise the decision on candidacy while promoting his project with the aid of organizations like “Viyath Maga” and “Eliya”. But now with time dragging out, an understandably impatient Gota took steps to force the pace of events. He formally submitted to the SLPP his bid to contest as the forthcoming presidential elections as the party candidate. At the same time Gota indicated firmly that he would not mount SLPP political meeting platforms unless and until he was finalized as the official candidate. Furthermore Gotabaya also undertook a very definitive step that may very well transform his life in the future. He commenced the process of renouncing his US citizenship. As is well known Gotabaya is debarred from contesting the presidential or parliamentary election because he is a dual citizen. He is a citizen of Sri Lanka as well as the USA. In terms of the 19th Constitutional amendment Gota must renounce or forego his US citizenship in order to be eligible to contest. Gota has often said that he would renounce his citizenship at the right time and that it would not be a problem. However after some remarks made by outgoing US envoy Atul Keshap to Mahinda Rajapaksa were publicized in the media there is much speculation that Uncle Sam would not let Gota renounce his US citizenship so easily and that the ex -Defence Secretary would not be able to do away with his dual citizenship status on time to contest the presidential poll as an eligible candidate. Gota however has dismissed these doubts and has gone on record that the US would not obstruct a US National who wished to renounce his or her citizenship for a valid and legitimate reason. Despite this assertion Gota did not show any signs of being inclined to give up his US citizenship. This was interpreted by many as an indicator that Gotabaya Rajapaksa was unsure of getting the presidential candidacy nomination. Gotabaya would be left in the lurch if he renounced his US citizenship first and then was not given nomination as presidential candidate. Therefore it was felt that Gota was playing safe by holding on to his US citizenship until he got the candidacy or was very sure of the nomination being imminent. In a significant departure from this previously held position , Gotabaya Rajapaksa went to the US embassy in Colombo on March 6th and submitted a formal application to renounce his US citizenship voluntarily. It is learnt that Gota went to the US embassy alone in a chauffeur driven vehicle without any lawyers or others accompanying him. The application made under provisions of section 349 of the US Immigration and Nationality Act requires a fee of US 2350 $. The process of renunciation comprises a step by step procedure that would culminate in the issuance of a loss of US Nationality certificate to Gotabaya Rajapaksa. It is learnt that Gota’s application has been forwarded to Washington for further processing and action. According to unconfirmed reports former cabinet minister and ex-parliamentarian Milinda Moragoda who is said to possess considerable influence with the US bureaucracy will be assisting Gota in this matter. Gota’s decisive preliminary step in the US citizenship renunciation process indicated that he is now very determined to throw his hat into the presidential ring. It conveyed a sense of urgency to the procrastinating Rajapaksa family that a decision should be taken on the matter soon. Gota has demonstrated that he will be losing his US citizenship in order to serve the country by seeking the presidency. By commencing the US citizenship renunciation process Gota has crossed the Rubicon. There is no turning back now. He has to be appointed as the Presidential candidate of the SLPP or SLPP led coalition. If the highly unlikely possibility of Maithripala Sirisena being nominated as the SLPP-SLFP presidential candidate occurs then Gota will contest separately. Mahinda will have an intra-family and inner-party revolt on his hands. In recent times political analysts have been saying that Maithripala Sirisena has the trump card of depriving the Rajapaksa camp of victory by contesting separately and splitting the anti-UNP votes. But what is forgotten is that Gotabaya too could do the same and deny a polls triumph to a SLPP-SLFP backed candidate like Sirisena by contesting separately and dividing the votes. I do not think Gota will do that but the fact remains that he too does have an ace up his sleeve and if pushed to the wall has the option of using it. It was against this backdrop therefore that the politically involved members of the Rajapaksa family met at Mahinda’s residence for dinner. After hours of intense discussion before, during and after dinner the family members arrived at a consensus confirming Gotabaya’s candidacy. It is learnt that eldest brother and “Pater Familias” Chamal Rajapaksa had been insistent that Mahinda Rajapaksa should make his decision known after discussion with family members. Chamal reportedly said that matters had dragged on for too long and finalization on that night was essential. It is learnt that a great deal of issues were thrashed out openly and frankly by the family. These related to the negative points that could be exploited as propaganda against Gotabaya in an election campaign. Among the matters discussed were the lack of Gota’s political experience, the cases in courts against Gota over alleged corruption and abuse/misuse of power, his reportedly negative image among the minority communities, the aversion displayed by the human rights activists who portray Gota as the epitome of evil and lay the burden of responsibility for many violations ranging from White van disappearances to attacks on the media at his doorstep, Gota’s alleged support for hawkish organizations such as the Bodu Bala Sena, the proximity to Gota of retired high-ranking defence services personnel reputed to be hardliners, the potential opposition of Global and regional powers etc. After many exchanges of viewpoints during which Gota clarified his stance on several issues there was a consensus of family opinion that Gota’s candidacy should be confirmed. The family felt the Rajapaksas were being singled out as political targets and that the negative criticism levelled against Gota amounted to an assault on the entire Rajapaksa family. As a result the family closed ranks behind Gotabaya. There were however two points of concern. One was the question of whether the US would obstruct Gota’s candidacy by delaying the revocation of citizenship process thereby preventing him from contesting as a dual citizen. The second was the various cases filed against Gotabaya Rajapaksa. Gota is fighting many legal battles in this regard and so far has staved off arrest and potential detention. Even foreign travel has been forbidden in connection with the DA Rajapaksa memorial museum in Medalana case being heard by the Colombo Permanent high court trial at bar. A fast tracked hearing and conviction could be damaging to Gota’s electoral prospects. Gotabaya however was optimistic that the US citizenship issue would be resolved far ahead of the election announcement. He was equally confident that despite alleged conspiracies by political opponents to penalize him through the courts, the judiciary would uphold justice and prove his innocence. Gota very firmly believed that Sri Lanka’s legal and judicial system would be fair by all concerned. Nevertheless a decision was taken that if there was a legal impediment to Gotabaya Rajapaksa contesting the presidential election at the last minute then an alternative candidate would be nominated. In this instance the substitute candidate was very likely to be eldest sibling Chamal Rajapaksa. The conclave ended on a jubilant note after Mahinda “Aiya” stated happily that Gota “Malli” would be the SLPP candidate and that he would whole-heartedly endorse his nomination and extend full support to the election campaign. This decision by Mahinda was welcomed and approved by other members of the family. Elder brothers Chamal, Mahinda and Basil then gave their blessings and wishes to younger brother Gota while nephews Namal and Shasheendra conveyed their wishes to Gota and sought the uncle’s blessings in turn. Thereafter the family discussed potential strategies and activities concerning the presidential election. It was decided not to make public the Rajapaksa family endorsed decision taken by Mahinda at this point of time. Instead it would be made known to leaders and representatives of the United Peoples Freedom Alliance(UPFA) and Sri Lanka Podujana Party(SLPP) first. Thereafter the decision would be conveyed to party branches and certain religious leaders. Meanwhile discussions between the SLPP and the Sirisena led Sri Lanka Freedom Party(SLFP) about an electoral alignment would continue as planned. Although Sirisena would not be the presidential candidate it was felt that a partnership with what was left of the SLFP was desirable as it would result in enhancing further support and harvest more votes. Moreover it was necessary to restrain the unpredictable Sirisena from aligning with the UNP or striking out separately. It was also decided that Gotabaya continue his pro-candidacy campaign as planned by staging public meetings under the auspices of “Eliya” in different districts. Earlier two such meetings were held in the Gampaha and Kandy districts respectively. Both meetings were attended by most MP’s , Provincial councillors and Local authority representatives of the respective districts from the SLPP and UPFA. 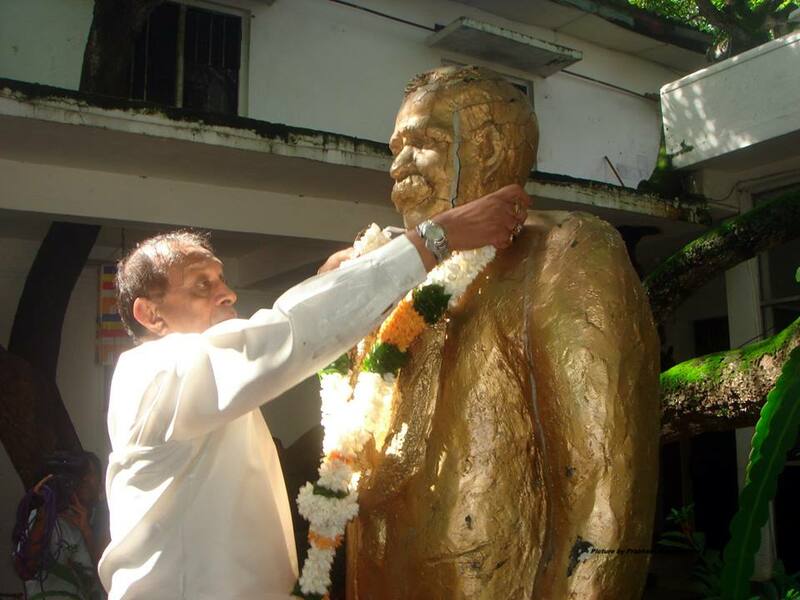 The third such “Eliya”meeting was held on Sunday March 17th at Badulla and drew large crowds. A striking feature of that meeting was the reference to Gota by some as the Presidential candidate and future president. Another point decided upon was that Gotabaya should begin interacting with the “Pohottuwa”party(SLPP ) at grassroot level. It was also resolved that an intense campaign be launched to woo minority community votes. The Rajapaksas seem hopeful that it is possible to garner a certain quantum of votes from minority ethnicities. While aiming to retain the minority community votes polled for Mahinda Rajapaksa at the 2015 January poll, there is an expectation that Gota may even surprise his opponents and political analysts by reaping an unexpectedly high number of votes from the Tamils and Muslims particularly from the youths and the urbanized professional and business classes. In what may very well be a related development Gotabaya Rajapaksa also sought permission from the Colombo Permanent High Court Trial -at -bar to travel abroad. The trial at bar bench comprising High Court Judges Sampath Abeykoon (President), Sampath Wijeratne and Champa Janaki Rajaratne had earlier impounded his passport. Gotabaya Rajapaksa and six others are under trial before the permanent high court over the construction of the DA Rajapaksa Memorial Museum in Medamulana. The trial at bar bench acceded to the request and gave permission for Gotabaya Rajapaksa to travel abroad from March 26th to April 12th this year. In accordance with the decisions arrived at, the Rajapaksas went about with a “business as usual demeanour” and refrained from referring to the Presidential candidacy. In keeping with the Rajapaksa stratagem of keeping people guessing or speculating through confusing signals, some family members enjoyed themselves by conveying contradictory information. Meanwhile some of the anti-Rajapaksa elements commenced a campaign of their own to undermine the Gotabaya Rajapaksa candidacy. Gota himself plunged in zestfully into promoting his candidacy. A series of meetings with representatives of different professional, commercial and industrial sectors have been arranged and some are already underway. Meetings with organizers and office bearers of Sri Lanka Podujana Party(SLPP)branches in the Eastern and Northern Provinces have been scheduled. These meetings are likely to be followed by meetings on a staggered basis with organizers and office-bearers from SLPP party branches in the other provinces. A meeting was also held with Nuwara Eliya district MP Arumugan Thondaman where the Ceylon Workers Congress (CWC) leader reportedly pledged his support and cooperation to Gotabaya. Likewise another meeting with a Tamil political leader too is on the cards next week. This is with Eelam Peoples Democratic Party(EPDP) leader and Jaffna district MP Douglas Devananda. It may be recalled that both the CWC and EPDP supported Mahinda Rajapaksa at the last presidential election. There was also an incident where the presidential candidacy of Gotabaya Rajapaksa was mentioned positively by a distinguished Indian official. One was related to the Pathfinders Foundation’s conference on Security and Governance in the Indian Ocean being held in Colombo.The founder of the Pathfinders Foundation is Milinda Moragoda. Former Indian National Security Advisor and Foreign Secretary of India Shivshankar Menon arrived in Colombo to chair the Pathfinder Foundation’s International Advisory Group meeting. A very important feature of India- Sri Lanka relations during the war was the setting up of top level bi-lateral “Troika”meetings to manage relations between both countries. The Indian Troika consisted of the then Indian foreign secretary Shivshankar Menon along with former Indian defence secretary Vijay Singh and ex-national security adviser MK Narayanan. Their counterparts in the Sri Lankan “Troika” were former Cabinet minister Basil Rajapaksa, Ex-presidential secretary Lalith Weeratunga and the then Defence secretary Gotabaya Rajapaksa. Actually the constitution of the Troika mechanism to oversee bilateral relations was an idea suggested by Gota himself. Shivshankar Menon revived old memories by meeting Basil, Gota and Lalith the former Sri Lankan Troika members at a dinner organized by Pathfinders foundation in Colombo. When Menon was told that Gotabaya was going to be fielded as the presidential candidate, the ex -foreign secretary of India was quite receptive. Menon said that having worked with him on the Troika meetings, he knew the ex -defence secy’s ability and was sure that Gota would make a very good president. Menon also said that in an earlier meeting with opposition leader Mahinda Rajapaksa, he had told the ex-president that the general opinion in India was that the return of the Rajapaksas to the political helm in Sri Lanka was inevitable . Mahinda had then told Menon that Hindu group of newspaper chairman Narasimhan Ram too had said the same thing to him some time ago at Bengaluru in India. It appears therefore that the presidential candidacy of Gotabaya Nandasena Rajapaksa is now an accomplished fact though the selection is yet to be announced in an official capacity. Even cabinet minister Navin Dissanayake referred to him as a presidential candidate at a function held at Sri Gautami Viharaya in Narahenpita. Gota thanked Navin for saying that and in turn quipped that Navin’s father in law was also going to be a presidential candidate. Gota of course was referring to speaker Karu Jayasuriya who is strongly tipped to be the presidential candidate of the UNP led political front. It remains to be seen whether Karu Jayasuriya will contest the presidential elections or not. But as for Gotabaya Rajapaksa it does seem definite that the ex -defence secretary would indeed be the SLPP presidential candidate, This decision has been taken on the basis that Gota has the best possible chance of winning the presidential poll. It is imperative for the Rajapaksas that the forthcoming presidential election should be won by their candidate. This is where Gota who fits the bill perfectly comes in. However there is always a big “IF” in issues like this. So “if” Gota is prevented from contesting elections due to legal impediments at the last minute , an alternative candidate – most probably Chamal Rajapaksa – would be fielded. If that happens Chamal Rajapaksa or the substitute candidate could ride the crest of a sympathy wave churned by Gota’s disqualification and may easily coast to certain victory.